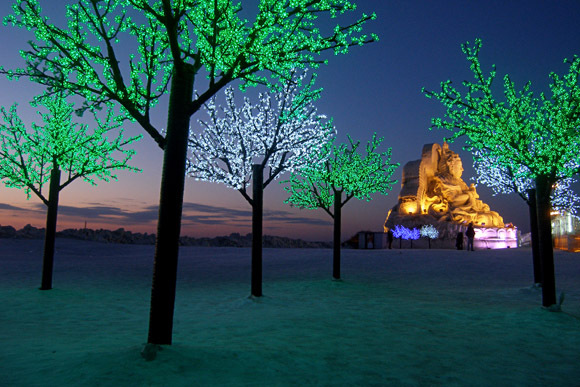 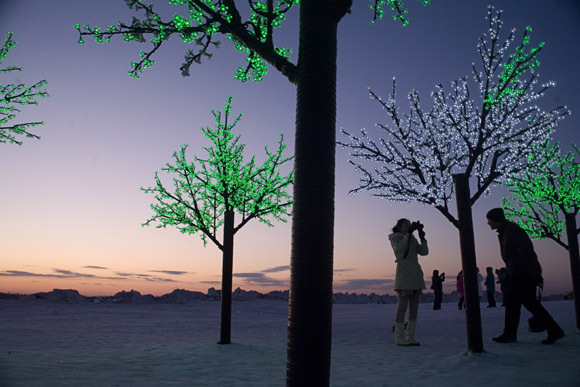 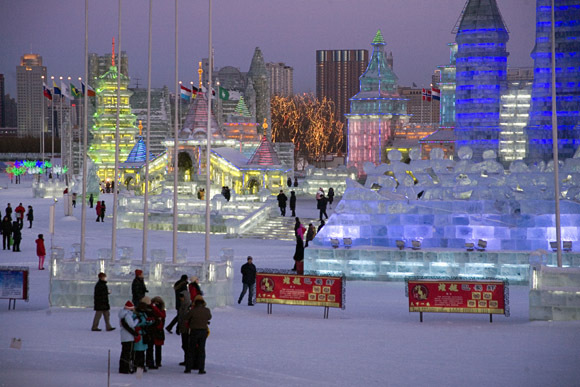 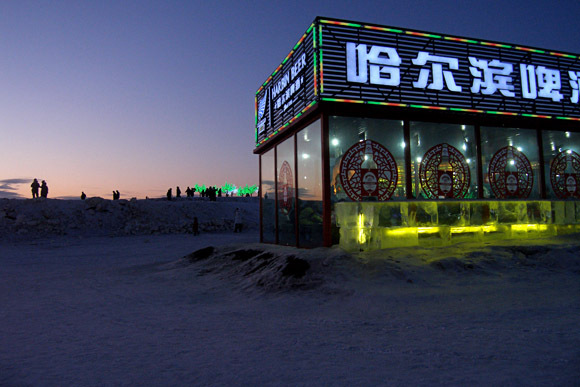 Ice and snow sculptures stand in the famous Ice and Snow World in Harbin, Heilongjiang Province, China. 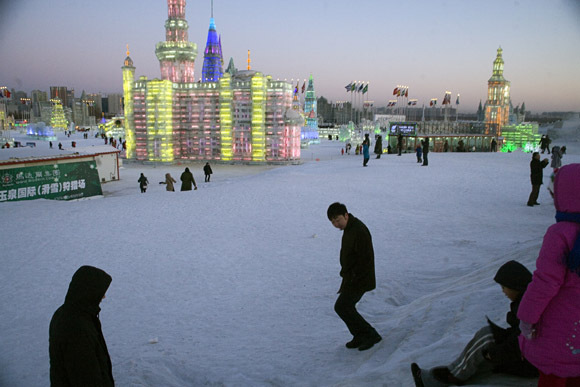 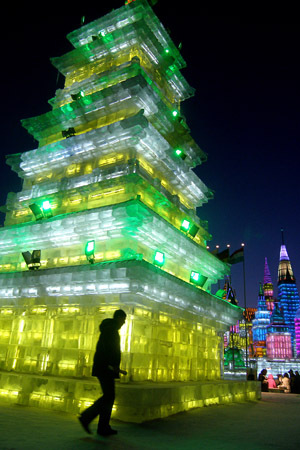 The yearly festival, featuring sculptures of castles and other things made of ice and snow, draws tourists from around the world. 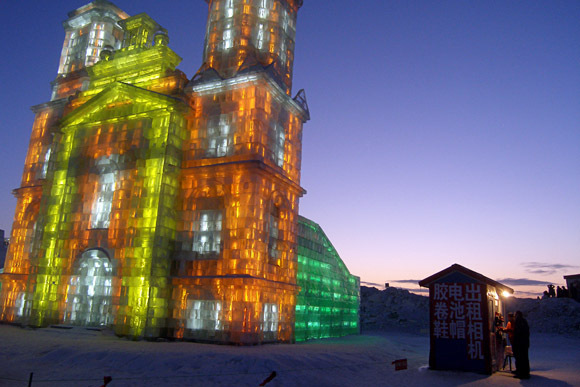 The world famous ice sculptures in Haerbin are quite a site to behold. 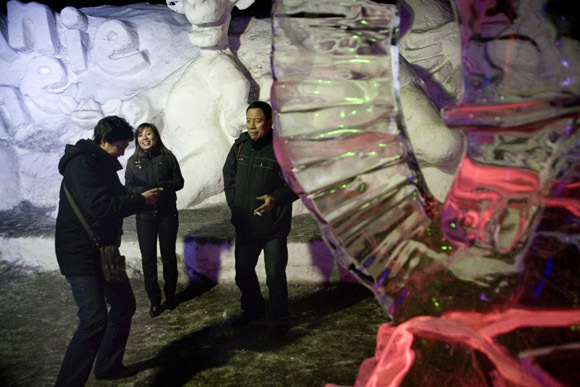 I was there at the end of the season last year, and many of the sculptures were starting to melt.